"With all of Edwards’ work, don’t expect to guess the ending..."
Julia Marsh has spent the last two years grieving the tragic accident that lead to her husband drowning before her eyes in a local river. Her eight-year-old daughter, Lily, is still missing, presumed dead. Now living alone, Julia finds herself unable to move on, convinced that Lily is still alive. But as money runs out, Julia needs to find a way to keep hold of their beautiful and secluded family home. She decides to open a writer's retreat. Lucas is a successful novelist suffering from writer's block and one of her first guests. He's no stranger to personal tragedy and forms an instant bond with his host, Julia. The longer he stays, the more of a local legend of the Red Widow, a fabled witch who kidnaps young girls, captures his imagination. But as Lucas delves into details of these disappearances, and as locals take more than a passing interest in his investigations, Lucas finds himself at the centre of a very real horror story. The retreat is harbouring secrets: all Lucas must do is separate the facts from the fiction before the ghosts of this small town become all too real. As children, we all believed in a bogeyman or some local legend about being taken away from our parents if we did something wrong. Mark Edwards has latched onto that childhood fear and created a chilling story of mind games and paranoia. 'The Retreat' is a frightening novel with genuine characters driven to the extreme by dark circumstance. 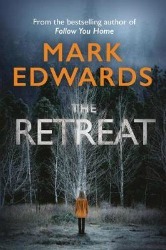 The setting for Edwards' latest psychological thriller is a writer's retreat in Wales. Edwards, a long-standing and celebrated writer, obviously had fun creating the writers in this book; giving them quirks and nuances he's probably seen in his fellow scribes. The scenes featuring the writers are a treat to read. Although this is a first person narrative told by writer Lucas Radcliffe, it is grieving mother Julia Marsh who is the stand out character for me. Edwards has written her perfectly; the drive to find her missing daughter yet needing to function in reality. The despair she feels at having failed to protect her only child. These raw emotions are difficult to get right but Mark Edwards has got into the head of a parent living on the edge and executed it with precision. With all of Edwards' work, don't expect to guess the ending, as you'll be wrong. As secrets are revealed and lies uncovered the finale is shocking and ingenious. 'The Retreat' is a treat for fans of urban legends and the unexplainable. "A very worthy addition to this great series." The Historical Crime novel is one of the most successful - and surprising - of phenomena in the entire crime fiction genre: detectives solving crimes in earlier eras. There is now an army of historical sleuths operating from the mean streets of ancient Rome to the Cold War era of the 1950s. 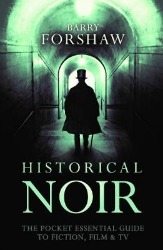 And this astonishingly varied offshoot of the crime genre, as well as keeping bookshop tills ringing, is winning a slew of awards, notably the prestigious CWA Historical Dagger. Barry Forshaw, one of the UK s leading experts on crime fiction, has written a lively, wide-ranging and immensely informed history of the genre, which might be said to have begun in earnest with Ellis Peters crime-solving monk Brother Cadfael and Umberto Eco's 'The Name of the Rose'. As with all Forshaw's other titles in the Pocket Essentials series, rounding up and listing (don't we readers love a good list? ), and delivering those authors who are currently writing in this particular genre today. If you love Historical fiction and have read all your Ellis Peters, who is acknowledged as the writer who more or less invented this sub-genre, then there is a plethora of authors here who you may not have read before. Forshaw takes us from the Roman Empire with Lindsey Davis, to Medieval England, through C.J. Sansom's Tudors, the Victorian era before parachuting us into the Second World War and hearing from Laura Wilson about her Stratton series which won the Ellis Peters Historical Dagger. This is allegedly the last in this series, and Forshaw has gone out with a great swansong. I haven't read Historical for a few years as I had my fill during the Cadfael years, but now after reading this book, Forshaw has got me excited by a number of authors (past and present) who I did not know had written in this genre. So, yet again I will have to get my wallet out and make a few purchases! A very worthy addition to this great series. "East London is in dangerous hands." A headmistress is found strangled in an East London school, her death the result of a brutal and ritualistic act of violence. Found at the scene is a single piece of card, written upon which is an ancient Buddhist precept: 'I shall abstain from taking the ungiven'. At first, DI Maya Rahman can't help but hope this is a tragic but isolated murder. Then, the second body is found. Faced with a community steeped in secrets and prejudice, Maya must untangle the cryptic messages left at the crime scenes to solve the deadly riddle behind the murders – before the killer takes another victim. 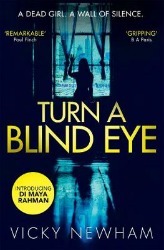 'Turn a Blind Eye' is a bewitching debut novel. From the very first page I was drawn into the dark and dangerous world of protagonist DI Maya Rahman as we get an instant snapshot of her difficult life. In multi-cultural, 21st century Britain, this is what crime fiction has been waiting for and Vicky Newham has delivered, and immediately cemented her position as a dangerous player on the circuit. Newham has a wonderful style of storytelling. She has a rich and absorbing use of language and a fluid prose which makes the story glide along as a thrilling pace. DI Maya Rahman is a well-rounded and timely creation. She's strong and vulnerable, intelligent and articulate. It won't be long before we're mentioning Maya in the same breadth of some of the great female protagonists like Jane Tennison and Marnie Rome. The plot is multi-layered, strong and engaging from the off and will have you turning the pages at speed to reach the unexpected finale. Often, a writer will put so much work into their main character their subordinates are mere one-dimensional. Vicky Newham is not guilty of that. All her characters are beautifully crafted. Newham has set the bar incredibly high for future books. If anyone can write a suitable chilling follow-up, she can. East London is in dangerous hands. "The great thing about this novel is the originality of the plot." Susan Svendsen and her family are different. Seen by many to be the perfect Danish family: brilliant parents, two beautiful talented children, living in an amazing house. Susan, however has an extraordinary gift that affects everyone she comes in contact with. She can make people tell her their innermost secrets without their realising it. When the family are in India and individually finding themselves in a great deal of trouble that will end up with Susan facing a considerable gaol sentence and the other members in similar dire straits, their guardian angel appears from the Danish Embassy and promises that he can make it all disappear if Susan will employ her power one more time and discover the secrets of the Future Committee. This means tracking down the surviving members and finding out what was written in their last report. The great thing about this novel is the originality of the plot. The characters are extraordinary. Once you accept that they are the way they are then the action is fast moving and proceeds in an utterly logical fashion. 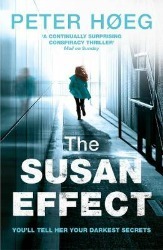 The relentless intelligence and self-awareness of Susan drives on the story. Part of the fascination is that, like James Bond, she is invincible and overcomes the difficulties in a way that lesser mortals can only envy. Spiced with references to current scientific thinking, this book provides a most entertaining and enjoyable escapist adventure. "There is an edge to the writing and the wild yet beautiful scenery of the Dales is written about with a deft eye for detail..."
Samson O'Brien, after many years away, returns to his home town of Bruncliffe, in the Yorkshire Dales. He has been dismissed from the Metropolitan Police for some unspecified offence, and he awaits a chance to clear his name. In the meantime he sets up the Dales Detective Agency, (DDE) in a building owned by Delilah Metcalfe, who owns the struggling Dales Dating Agency (DDE). No love is lost between them, and not just because of the clash of initials. Delilah only rents out the premises as she needs the money. And no love is lost between Samson and most of the people of the town, who consider him to be trouble. Samson's first case is investigating the apparent suicide of a young man who falls from a station platform and under a train. The local police think it was suicide, but the young man's parents are convinced it was murder - he was pushed. At first Samson is convinced that it was indeed suicide, but the more he investigates, the more he is convinced that the parents might be right. Three more deaths of local men lead Samson to discover a link between Delilah's dating agency and the deaths. Will Delilah's business go under due to the adverse publicity? Samson and Delilah have to work together to uncover the truth, and unmask a killer. This is the first in the Samson and Delilah series, the second one having already been reviewed on Crimesquad in December 2017. Though the action takes place in a small country town, this is no cosy whodunit. There is an edge to the writing and the wild yet beautiful scenery of the Dales is written about with a deft eye for detail without compromising the pace of the book. And though it's a murder mystery, there is humour as well. All in all, an intriguing crime novel, and I'll look forward to reading more about Bruncliffe. Julia Chapman is the nom de plume of Julia Stagg, author of the popular Fogas Chronicles, a series of mysteries set in the French Pyrenees. 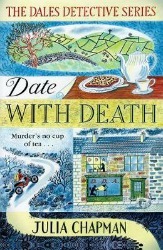 The next in the Dales detective series is 'Date With Mystery', which will be published some time in 2018. "This is such a clever book." Police Chief Inspector Sigrid Odegard is a very successful police officer in Oslo. She runs a tight ship but is mentally recovering from a tragic incident where she is forced to kill a perpetrator. Although exonerated from all blame by her Department she still feels guilty, so when her father asks her to find out what has happened to her missing brother in the United States she takes indefinite leave of absence and heads for upstate New York. This is a complete culture change and she comes across an environment where guns are the norm, race has a considerable impact and a legal system affected by politics and influence. She meets up with Sheriff Irving “Irv” Wylie, the local law enforcement officer. To begin with she underestimates both his astuteness and his overview of the state of affairs in his own area and the wider United States. Her brother is somehow implicated in the death of his girlfriend, an African American academic. After a few crossings of swords, they develop a mutual respect that enables them to search for Sigrid's brother in the wilds of the Adirondacks. This is such a clever book. Sigrid is a wonderful character-driven, single minded, confident in her own abilities and in the philosophy of the Norwegian police force. She finds the American police system daunting but is not prepared to dance to their tune. However, Sheriff “Irv” Wylie is often one step ahead. Both characters are brilliant. 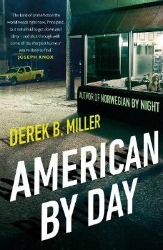 The clash of cultures between the eminently reasonable liberal Norwegian and the forceful efficient and worldly wise American is beautifully portrayed and there were many laugh-out loud moments as a result. By the end there is a mutual respect and affection between the two. I hope to hear more of both of them in the future. "...a thoroughly enjoyable read which I highly recommend to anyone." August in Paris, and a serial killer has already stabbed to death four young women in the Montmartre area of the city, slashing their clothes with a knife after he does so. Maigret, who's in charge of the case, is baffled. He is also suffering and grumpy, as a stifling heat wave has engulfed the city. At a small dinner party, he meets Professor Tissot of the Sainte-Anne Psychiatric Institution, and they discuss the serial killer's character and motives, one of which may be pride in what he does. Maigret hatches a plan. He will play on the killer's pride, and announce that he has arrested someone for the crimes. In this way he hopes to flush him out. He will flood Montmartre with police officers in case the killer strikes again, thus asserting himself as the real killer. And indeed the serial killer does strike again. But he chooses one of the plain clothes police officers, Marthe Jusserand patrolling Montmartre. She fights back and survives, but she produces one vital clue - she has torn a button and a piece of cloth from the attacker' suit. This leads Maigret to a likely suspect, but while he is being questioned at the Quai des Orfèvres, the killer strikes again. 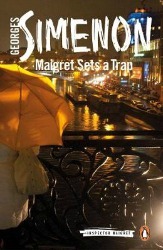 Has Maigret made a mistake? Is the real killer still at large? Penguin is re-issuing every Maigret novel, all of them in a new translation, ands this is one of them. It is possibly one of Simenon's most famous books, and for good reason. Published in 1955, it has been adapted for the three Maigret series on British TV - the Rupert Davis series of the early 1960s, the Michael Gambon series of the early 1990s and the recent Rowan Atkinson series. Though simple, it introduces some perplexing and highly enjoyable puzzles. But these puzzles are not introduced purely as a plot device - they arise from the interaction between the characters, and it is cleverly done. Simenon, on average, wrote three novels a year, and yet they show a depth and understanding of the novel form that have escaped many a 'serious' (horrible word) novelist. We almost see inside Maigret's head - his doubts about his own abilities, his self- questioning as to whether he is conducting the investigation correctly, and the feeling he is relinquishing an enjoyable home-life with the ever-loyal Madame Maigret. But for all of that, he still finds time for his pipe smoking, an enjoyable lunch, and his weakness for a glass of wine, beer or plum brandy. All in all, a thoroughly enjoyable read which I highly recommend to anyone. "...the humour English works into her narrative gives light and shade to the novel. " 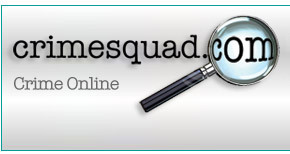 Penny Wade is a social worker who has become an 'accidental sleuth'. She is trying to re-establish herself professionally, having left her job after becoming 'over-involved' in a case. She has to contend with wary colleagues, a probationary period and a hostile boss. Her personal life has also given her some knocks, and she and her friend Gloria are involved in online dating to try and find relationships that will work. So far, they have drawn a blank, with a series of disastrous first dates. Penny takes on a new case at work, a young mother, Ashley, with two children who is being accused of neglect and possible child abuse by the children's school. Penny must tread carefully. Her first instincts are to sympathise with the very young, clearly depressed mother, and her two bright, troubled children. She believes the children are not being abused, but she isn't certain, and her boss, warning her against 'overinvolvement', puts a tight deadline on the time she has to demonstrate the family needs support rather than being split up. And then Penny hits the dating jackpot. She meets the charming, handsome, successful Erik. 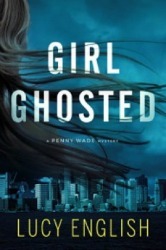 She quickly becomes emotionally involved, but after they spend their first night together, Erik falls silent, and Penny is afraid she has been 'ghosted'. But then she finds out that Erik is dead – drowned in an unexplained boating accident. She begins to have suspicions that he was murdered and starts to dig around and ask questions. Much of the book focuses on Penny's life as a social worker, and the painstaking work she does to unravel the complexities of Ashley's life as she tries to keep the family together make for an engaging read. It gives good insights into the working life of a social worker, the kinds of decisions they are faced with and the responsibilities they have to live up to. It also explores the ways in which others involved with children at risk do not always carry out their roles well, and the problems and mistakes that can arise because of this. However, as a mystery, the book is less successful. The murder narrative takes second place to the story of the social worker with the result that the crime narrative is rushed and under-developed. The relationship between Erik and Penny is over in about three dates. Erik is little more than a cipher, so Penny's grief at his death does not fully convince. The 'accidental sleuth' motif is problematic as well. If Erik's death is so clearly murder, why are the police happy to sign it off as an accident? The links with the dating site and the idea of an obsessive killer stalking women through the site has a lot of potential, but is under-developed. The whole thing ends in a bit of a rush, almost as if English were doing her duty as a crime writer but is really far more engaged with the story of the social worker and the young mother. It doesn't help that the jacket copy appears to describe a serial killer book. If you are looking for a serial killer suspense novel, this is not the book for you. But it has its own merits. The writing is engaging. Penny and her friend Gloria are convincing, sympathetic characters, and the humour English works into her narrative gives light and shade to the novel. If the same level of writing was applied to the crime part of the narrative, then 'Girl Ghosted' would be an excellent book. Despite its flaws, it is certainly worth a read. 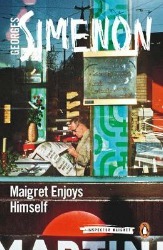 "Maigret certainly enjoys himself as he follows the case through sensational newspaper reports." At long last, Maigret takes a much-needed holiday. He and Madame Maigret initially decide on Les Sables-d'Ollone, on the Atlantic coast. However, they decide instead to take two week's holiday in Paris, with the detective staying well away from police HQ on the Quai des Orfévres. Maigret reads in a newspaper that the body of a naked woman has been discovered in a cupboard in the house of a well-known doctor, Philippe Jave, on the elegant Boulevard Haussmann. According to the newspaper reports, the doctor, his wife and his daughter are holidaying on the Côte D'Azur at the time of the murder. Maigret, of course, takes an immediate interest, while at the same time deciding that he will go nowhere near Police HQ or Inspector Janvier, who is put in charge. So he follows the investigation through newspaper reports. The first revelation is the fact that the body is that of Eveline Jave, Philippe's wife. What was she doing in Paris when she was supposed to be on the Côte D'Azur? While Jave had been on holiday, a young colleague, Doctor Gilbert Négrel, had stood in for him. Was he involved? And what of his fiancée, Martine Chapius? And where does Josépha Chauvet, one of Jave's maids, and her daughter Antoinette, fit into all of this? Who was having an affair with whom? What is the motive? And the question that Maigret considered to be the key to the whole mystery: why was Eveline Jave naked? This is a new translation by David Watson of a book first published in 1957. Unlike other books in the Maigret series, Maigret finds himself on the periphery of a murder investigation, without the benefit of all the forensic evidence and interviews that he is used to. Maigret certainly enjoys himself as he follows the case through sensational newspaper reports. He is reduced to using only his profound understanding of human nature and his past experience to crack the case. It's a device that works well, and Simenon adeptly takes us through the detective chief inspector's thought processes as he sifts through what evidence he can glean from the newspaper reports. Eventually he solves the case, of course, but he feels honour bound not to get in touch with Janvier or the investigating team. He is, after all, on holiday. Does he manage to keep his distance? Only reading to the end of this enjoyable book will provide the answer.